Japanese hair straightening might be a great system for you! No matter how curly or unruly your hair is, A Japanese permanent hair straightening treatment will create the results you've always wanted! 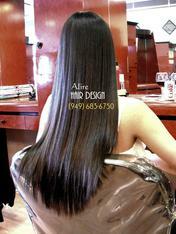 At Alire Hair Design in Orange County, all hair straightening systems are done by Al Tehrani. 12 years of training and experience In Japanese hair straightening and many years in Brazilian keratin hair treatments, made Al one of the best hair straightening specialist in Orange county. And this abled him to do his job so uniquely that his clients stay with him for many years and have vowed not to trust their hair in anyone else's hands. The Japanese hair straightening system was introduced in 2002 as the "YUKO system" in Beverly hills, California, by Yuko company. In 2003 Al started his professional training & career as a Japanese permanent hair straightening specialist at Orange County hair salon in Newport beach and Irvine, since then he done more than hundreds hair straightening treatments on his clients, All with great results. "If you have plan for doing a Permanent Hair Straightening"
All you should know About Japanese hair straightening before treatment ! "Thermal reconditioning" known as Japanese hair straightening, is a revolutionary hair straightening system that permanently changes the internal structure of your hair and transforms it, from a curly & frizzy hair to a beautiful smooth, healthy-look & iron straight. 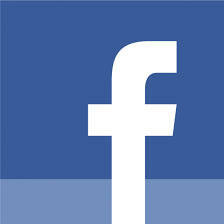 - the processing products of this system is so strong and the procedure is complicated! It requires a hair stylist with special training and a lot of experience. ​- We always recommend you consult with a hair professional prior to any hair straightening treatment, and find out which one of the hair straightening treatments is a good system for your hair type & conditions! Q - What does Japanese hair straightening exactly do to my hair? A - The Japanese hair straightening product contain a chemicals that breaking the bonds smooth it permanently giving each strand its shape, After the procedure is done by a professional hair stylist, your hair will look sleek and shiny and its bonds will be so powerful that even the heat from a curling iron or hot roller wont break down the straight bonds. Q - Who is a good candidate for permanent hair straightening? A - Because product penetrate the hair and changes the structure of the hair, it is very strong products, and only hair with good level of health is eligible for this type of hair straightening treatment. *** Bleached hair, over processing with hair color, Hair with henna base or other vegetable compound coloring or hair Previously stressed by any harsh chemicals definitely NOT recommended for this straightening system! Q - What is Yuko system? A - A Japanese woman named Yuko Yamashita CEO and founder of the Yuko Hair Straightening System created this brand in 1993, this system was introduced in 2002 to the united states by yuko Beverly Hills. However many American companies have produced the advanced formulas of this type of permanent straightening system with great quality after that, this system still known as Japanese hair straightening by many people Since then. The professional name of these types of hair straightening system which permanently relaxes the hair is: "Thermal reconditioning", and it falls under the category of permanent hair smoothing system. Yuko, like few other professional brands is one of the best permanent hair straightening system on this category. Q - Is Japanese hair straightening's product and procedure safe for the health? A - Unlike Brazilian keratin hair treatments products that contain varying amount of formaldehyde ( a carcinogen that poses health risks when inhaled ) or any other substance that be harmful for the health of the clients and the hair stylists, The Japanese hair straightening treatment is totally safe during and after procedure, if apply by a well trained professional! Q - Can I do the routine hair coloring a after Japanese hair straightening? A - You can definitely do the routine coloring after this treatment, hawever we always recommend that If you plan on getting your hair colored or treated in any other way do this one week prior to or after the Japanese straightening system. Q - How long does the Japanese hair straightening treatment last in my hair? A - your hairs straightening lasts until your new hair grows out, which usually takes up to 6-8 months - depending on the texture and length of the hair & and the amount of maintenance you do for it. In some cases after this amazing treatment, my client's hair stays straight for 10 - 12 months! 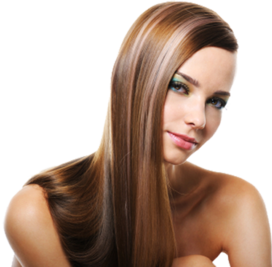 Q - How long does the Japanese hair straightening procedure take to do in the salon? A - At Alire hair design the entire Japanese Hair straightening process takes up to 4 - 5 hours the first time. depending on the condition of your hair. Our Recommendation about Japanese hair straightening! 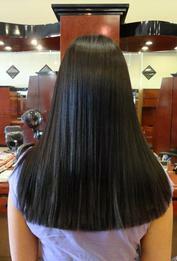 - Thermal reconditioning is the only way to achieve permanently straightened hair. these products change your hairs chemical bond, the products is so strong and the procedure is complicated! "Find out the salon has a hair stylist that is capable of doing such a procedure". If the procedure of japanese hair straightening done successfully , Leaving your hair with the highest level of silkiness and shine. - if you find more than one person who performs the thermal Japanese hair straightening make appointments with them for a free consultation. - In the pre-treatment consultation meeting ask the hair stylists all questions that concern you about this straightening system treatment and analyze their suggestion, according to your hair strength & conditions. Make sure you are comfortable with their abilities. - on the consultation meeting Tell your hairstylist everything you've done to your hair in the past 2-3 years - Bleach or vegetable compound - henna base coloring, don't react well with this system of chemical relaxer that contain the thermal reconditioning solutions. At Alire Hair Design we have passion for top quality hair care services from latest trends in hairstyles for men & women to best hair relaxers and hair straightening treatments at Irvine, one of the best Hair Salon in Orange County. 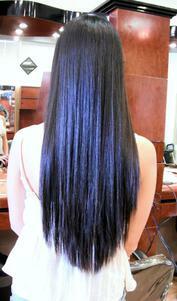 - we also expert in human hair extensions in Orange County. about every thing you need to know about all kind of hair straightening! 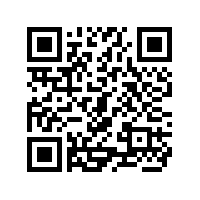 Call us for a consultation meeting, and for professional advise! No matter how your hairs conditions is, from super healthy to a poor health condition, I'll give you the best straightening treatment solution, along with Japanese permanent hair straightening! A Japanese Hair Straightening could "save" your time up to 70 to 80% !! !